It's called the Super Moon because the moon will be nearly at its closest to Earth for the month of March 2019. It is the year's 3rd and final of 3 Straight Full Super Moons. Although any time of the year is great for meditation, people who are ready & available can tap into the highest form of their energies. There are energy cycles that make this easier & more powerful, and Super Moon is one of them! It is believed that Super Moon is both a time of crisis & time of opportunity because of its magnifying effects on earth and its people. It has been observed by generations, that whatever activity is being done during the Super Moon, will be magnificent in effect and intensity. • FASTER MANIFESTATION OF WISHES & PLANS. • WITNESS SELF TRANSFORMATION IN ALL AREAS OF YOUR LIFE. • EXPERIENCE THE INTENSITY OF ENERGY. • FEEL EMPOWERED & ENERGIZED. • GET CONNECTED TO YOUR TRUE SELF. • It is the LAST SUPER MOON for 2019. (As shared earlier meditation is great any time of the day or year, however, there are energy cycles that intensifies, magnifies, and solidifies the effect of meditation). • It is absolutely FREE only this one time. I am GIFTING this TRANSFORMATIONAL SUPER MOON MEDITATION to ONLY those who choose to transform their life manifesting their dreams & desires. I am GIFTING this TRANSFORMATIONAL SUPER MOON MEDITATION as a form of gratitude to God, to the universe, and to my highest self that tapped into the highest of energies in one of the Super moon meditation that I did for myself. 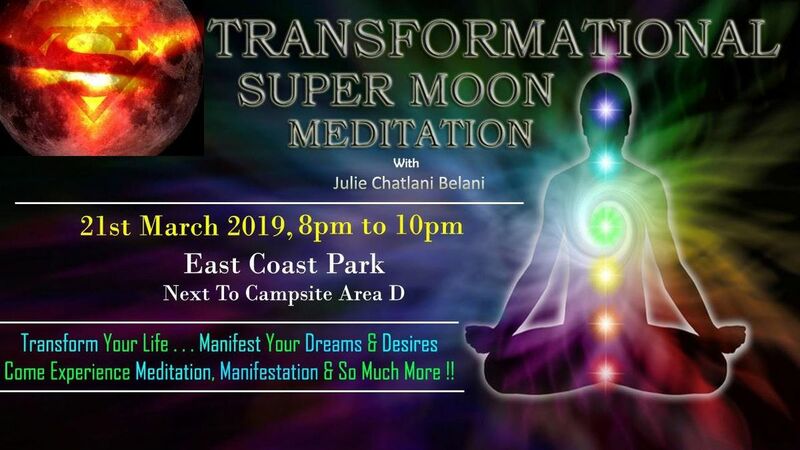 I am GIFTING this TRANSFORMATIONAL SUPER MOON MEDITATION because I have found my passion and my purpose which is to transform the lives of millions. • You have been for various Full Moon Meditations but you haven't manifested your dreams and desires yet! • You don't know how to meditate and want to be guided. • You have a whole lot of limiting beliefs and you want to let them go. • You are lost and are looking for a GPS to life. • You are in pursuit of happiness. • Because you know that this could transform your life. • Because you love yourself enough to want to show up for you. 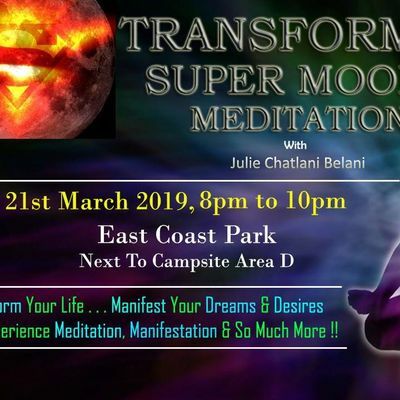 • Because you know how meditations connect you to the source and you know that the impact of doing it in a group with the energy of the Super Moon will be even more powerful. WHY YOU SHOULDN'T COME THIS MARCH 21ST? • Because you are too scared your life will transform as you will be manifesting all your dreams & desires. • Because you are too scared to accept changes. • Because you are too busy with something or someone more important than achieving your own dreams and desires. • Because you are too busy to connect with your highest self. • Because you don't want to miss that show on TV or because you are just too lazy. • Because you don't believe in energy and in the potential of your highest self. • Because you are too busy serving others and have no time for yourself.